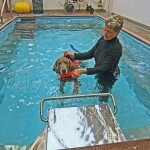 Learning to use his hind limbs again post back surgery. 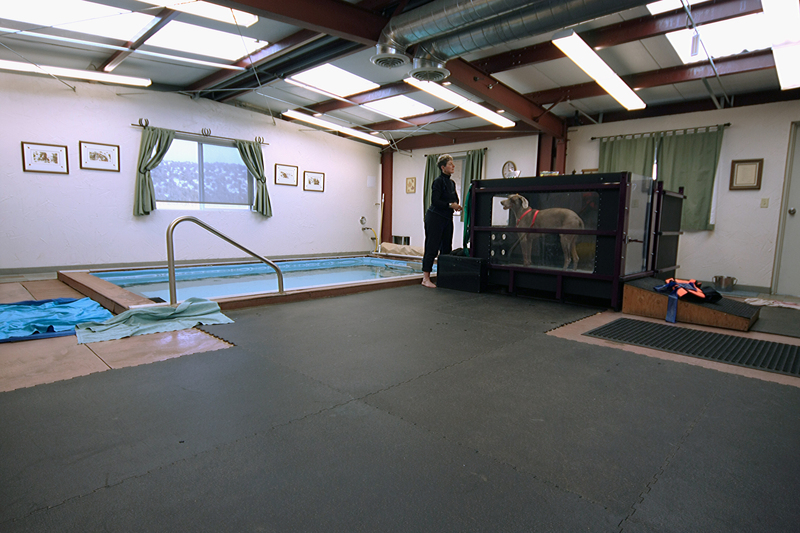 Water is a great rehab tool. 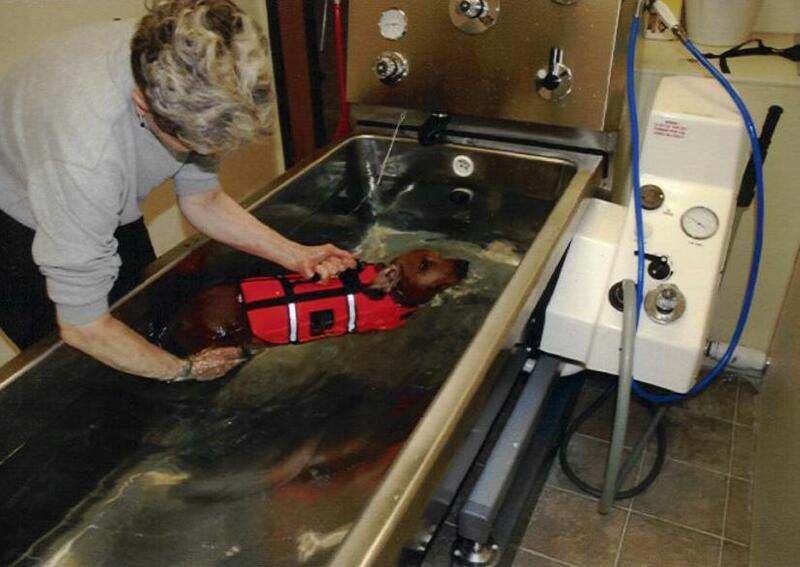 Patients on occasion upon request by her Veterinarian colleagues primarily for evaluation and consultation. 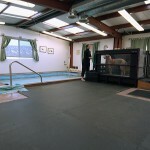 Here are some pictures of the clinic, her Patients and Clients & professional services offered. 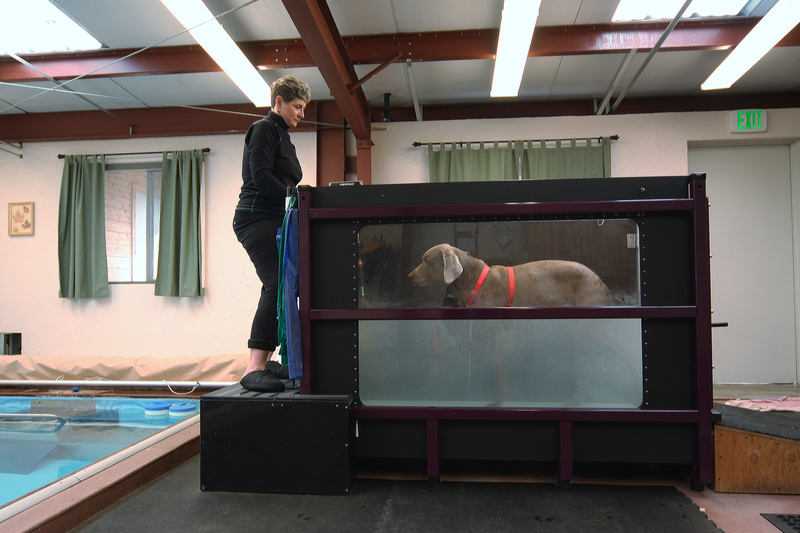 Therapeutic exercise & gait training in the underwater treadmill w/varied water height. 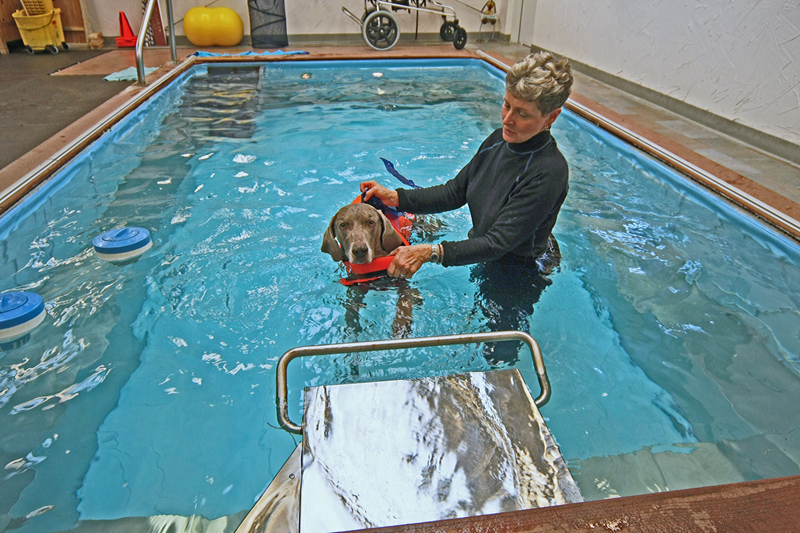 Canine Patient receiving therapeutic laser tx effective for pain, decrease inflammation & tissue repair. 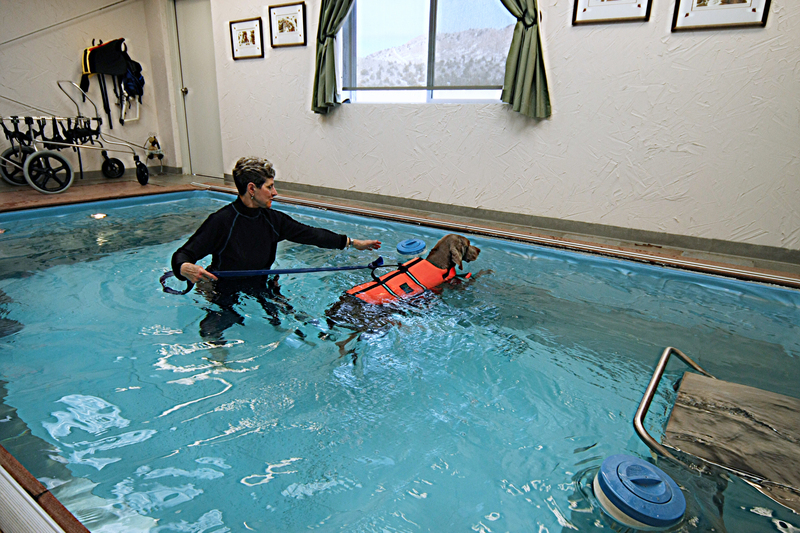 Working in the “endless”pool against the current for strengthening, balance.